If your childhood was like that of most ’90s kids, you ‘ll definitely have some pretty good memories of sitting down and catching up with Nick Jr. programs. Gulla Gulla Island and Little Bear may have been crowd favorites, but it feel likes practically nothing was more beloved than Blue’s Clues. 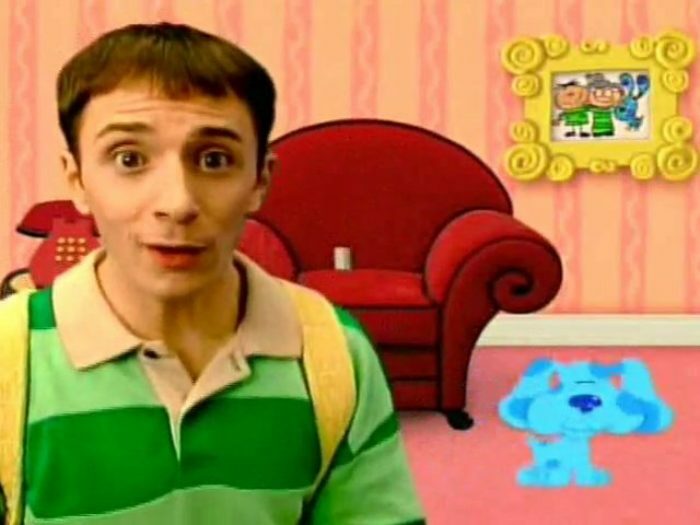 For the show’s devoted legions of fans, it was crushing when star Steve Burns left Blue’s Clues — and many of us never knew why, even years later. After Steve left the show back in 2002, the Internet speculated heavily on reasons why. From rumors of death to drug addiction, the Internet went pretty wild trying to solve the mystery. And a more common theory was that Steve had left to pursue a music career. But as it turns out, none of those reasons were really why Steve left the show. But in an interview with the Huffington Post, Steve came forward about his Blue’s Clues departure… and it’s a pretty upsetting answer. As Steve explains, he was getting older, he was losing his hair — he just felt it was time to go. "People think I left the show to pursue a music career. That didn’t happen at all.. I left the show because it was just simply time to go. I was pretty much playing a boyish, older-brotherish kind of character on the show. I was getting older; I was losing my hair; a lot of the original gangsters on the show, like the people who created it, were all moving on to other careers. It just felt like time. I just had a gut feeling like it was time to go." Time is a cruel mistress, y’all.